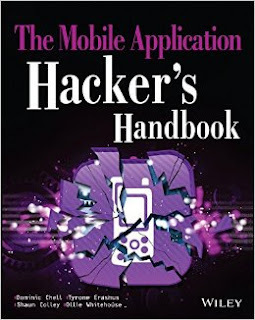 The Mobile Application Hacker��s Handbook is a comprehensive guide to securing all mobile applications by approaching the issue from a hacker��s point of view. Heavily practical, this book provides expert guidance toward discovering and exploiting flaws in mobile applications on the iOS, Android, Blackberry, and Windows Phone platforms. You will learn a proven methodology for approaching mobile application assessments, and the techniques used to prevent, disrupt, and remediate the various types of attacks. Coverage includes data storage, cryptography, transport layers, data leakage, injection attacks, runtime manipulation, security controls, and cross-platform apps, with vulnerabilities highlighted and detailed information on the methods hackers use to get around standard security. Mobile applications are widely used in the consumer and enterprise markets to process and/or store sensitive data. There is currently little published on the topic of mobile security, but with over a million apps in the Apple App Store alone, the attack surface is significant. This book helps you secure mobile apps by demonstrating the ways in which hackers exploit weak points and flaws to gain access to data. IT security breaches have made big headlines, with millions of consumers vulnerable as major corporations come under attack. Learning the tricks of the hacker��s trade allows security professionals to lock the app up tight. For better mobile security and less vulnerable data, The Mobile Application Hacker��s Handbook is a practical, comprehensive guide.